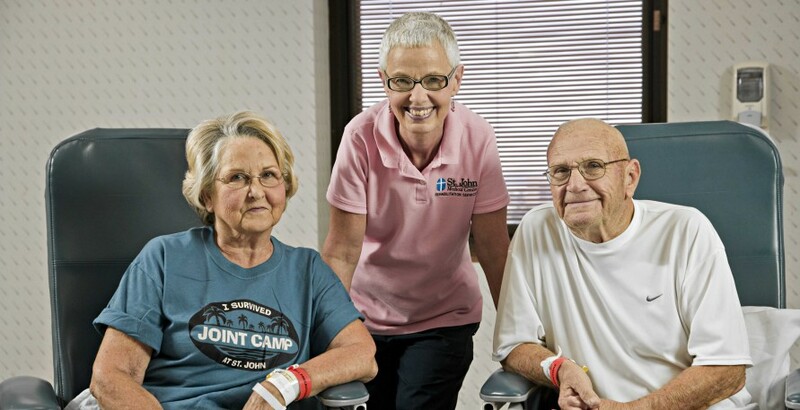 At the Center for Joint Replacement, rehabilitation plays an intricate role in a patient’s post-operative recovery process. We utilize a team approach by working closely alongside orthopedic physicians, nurses, and case managers. This allows us to provide the best care and outcomes for our patients. Rehabilitation services at the Center for Joint Replacement positions patients for a rapid recovery. Physical and occupational therapists perform comprehensive evaluations to formulate a treatment plan based on an individual’s needs and limitations. Research-based treatment methods are used to provide the most up-to-date and effective treatments possible. Physical therapy treatments include group therapy sessions to increase mobility and strength, gait analysis and training, stair/step training, and assistive device fitting. Occupational therapy treatments include relearning how to do daily tasks such as bathing, dressing, how to get into a vehicle safely with a new knee or hip, and joint protection and energy conservation techniques. With the help of the rehabilitation team, patients will be ready to move on to the next phase of the recovery process.